Coffee Nation Vending Machines Costa Lot!!!!! I see that Whitbread, the owners of Costa coffee, have recently acquired Coffee Nation to further boost their exposure to the rapidly expanding UK coffee market. What does surprise me is the price Whitbread were prepared to pay for this additional market share. 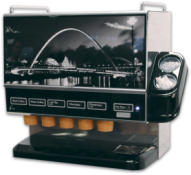 Coffee Nation operate 900 coffee Vending Machines in various high use locations including fuel stations and hospitals across the country and the price paid by Whitbread appears to be £59.5 million for the entire business. Now according to my desk top calculator 900 divided into £59.5 million comes to an eye watering £66,000 per used vending machine which really is big “Costa” territory. Clearly Whitbread must see huge potential to grow this sector of the coffee market but to achieve a viable return on these sorts of ratios is going to be a big ask in my humble vending opinion. 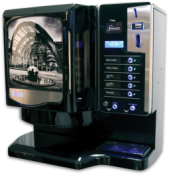 There are around 6 billion cups of coffee served from vending machines in the UK every year and the market continues to expand rapidly. 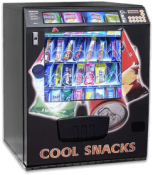 However at anywhere between £2 and £3 per cup from Coffee Nation and many High Street outlets there is a much better value alternative available from KSV Vending coupled with the convenience of a workplace location. 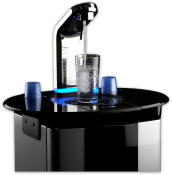 Coffee shop quality hot drinks are available to you for around a tenth of the Coffee Nation model and we certainly don’t look for £66,000 for one of our top quality fresh brew hot drinks machines either. 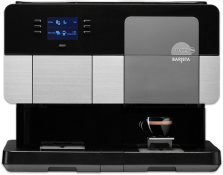 In fact you can rent a brand new Flavia Creation 400 machine for as little as £6.95 a week (subject to contract) with up to five year peace of mind warranty package and a wide range of top quality fresh brew hot drinks. The popularity of quality coffee is assured for the future but how and where we enjoy it is less established although the convenience and value of KSV workplace coffee certainly stacks up very nicely against the Whitbread Coffee Nation business model.